In one respect at least, I haven't grown up. I am still one of those girls who reads their horoscope, knows their birthstone, and likes personality quizzes and that is perfectly fine. 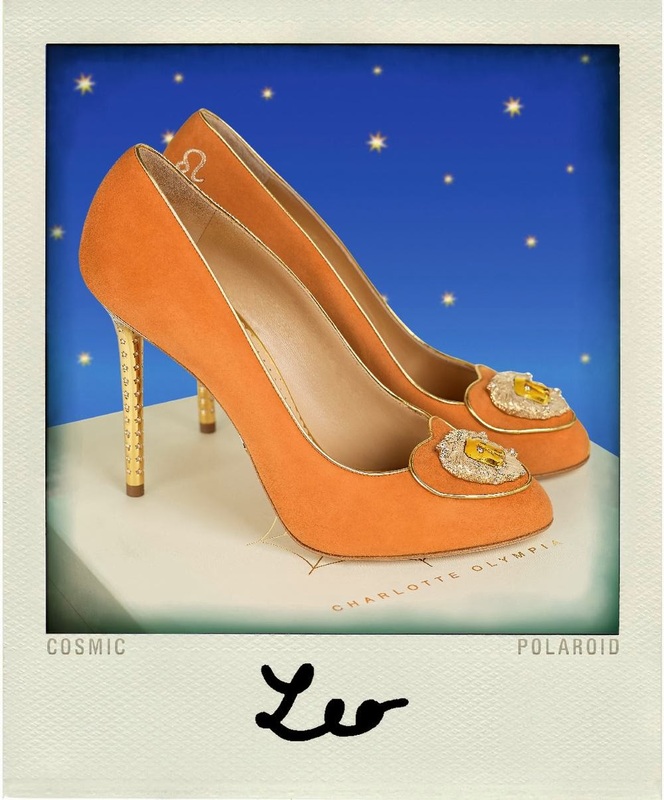 I am entirely in love with Charlotte Olympia anyway (the mascot shoes! Swoon! ), and especially, guiltily so with the Cosmic range, which takes in eastern birth signs (horse, dog, rat etc) and western (Libra, Scorpio - we'll stop there, it's the best one). 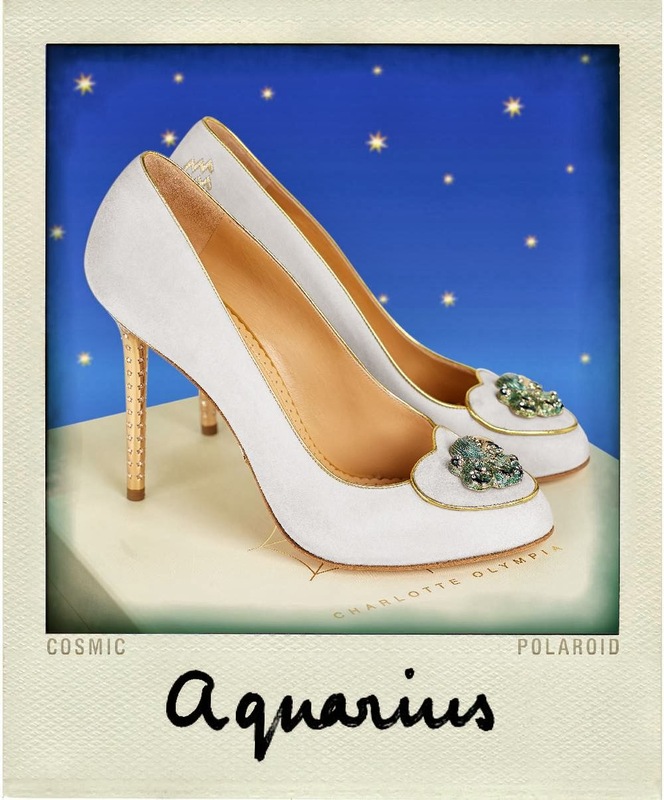 Each sign comes in its own colour, with gold heels and detailing, and an enamel and Swarovski crystal rendition of the sign. 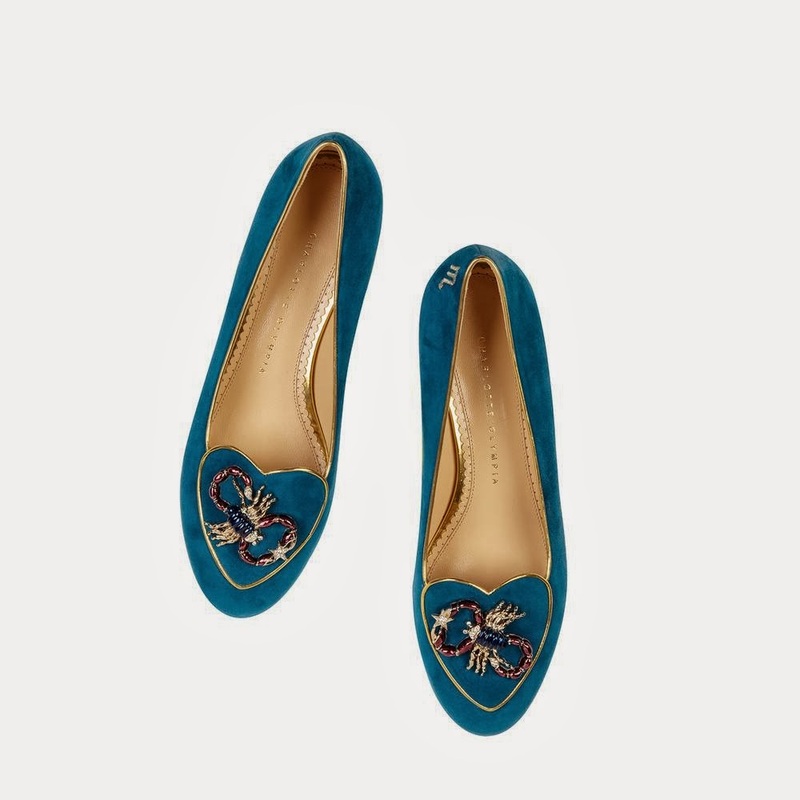 You can choose to have them in heels (Cosima, western only) and flats (Birthday shoe), and brilliantly, for petite girls the whole lot starts at a size 1 (34). 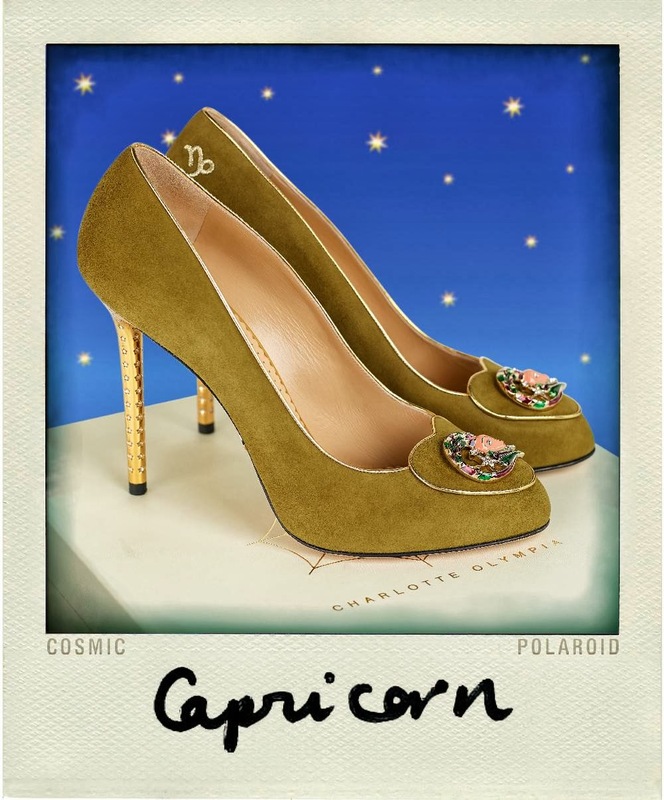 Tall girls: we can get the star sign flats up to a size 9 (42), which is fortunate for me at least because ain't no way I can fit through a door, or walk, in a stiletto. Whichever you choose, you get a little book about your star sign, and just writing that sentence makes me go a bit tingly. PATHETIC, I know. Pathetic. Moving on. 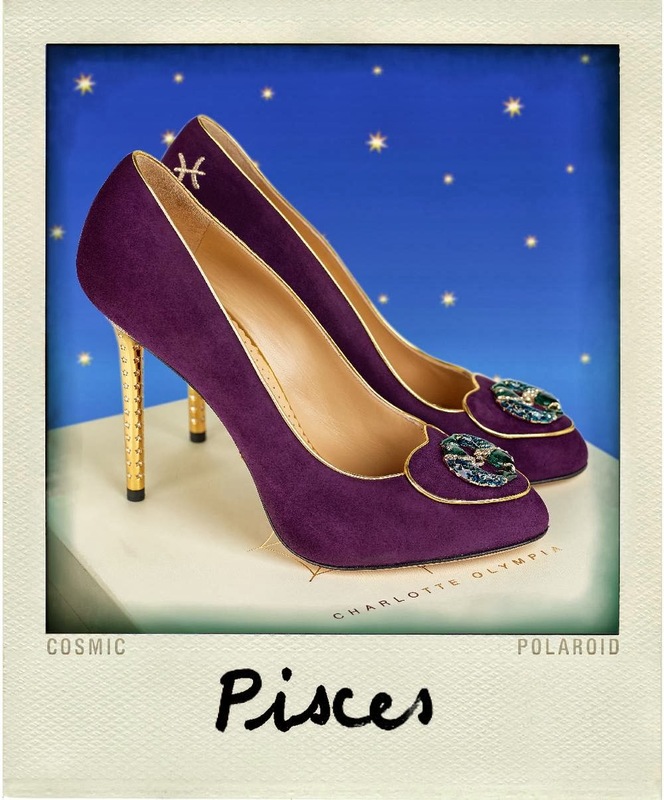 Currently on the birthday agenda are Piscean girls, who get a lovely deep purple. 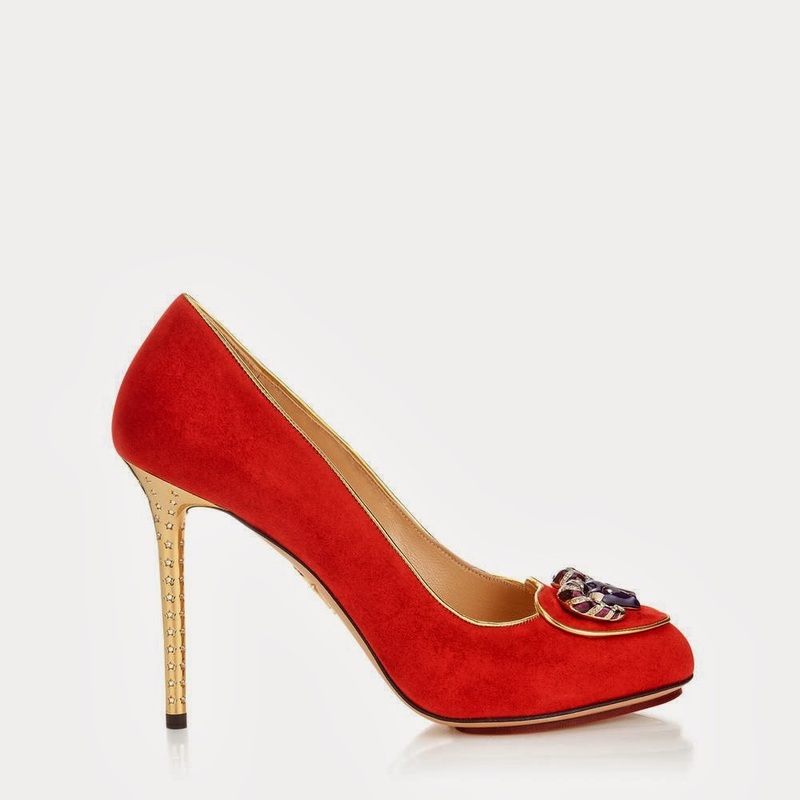 The Cosima heels have crystals embedded in the heels themselves which look fabulous. And that cute polaroid? You get one to put on your shoebox. Sigh. God, I just want the shoebox. 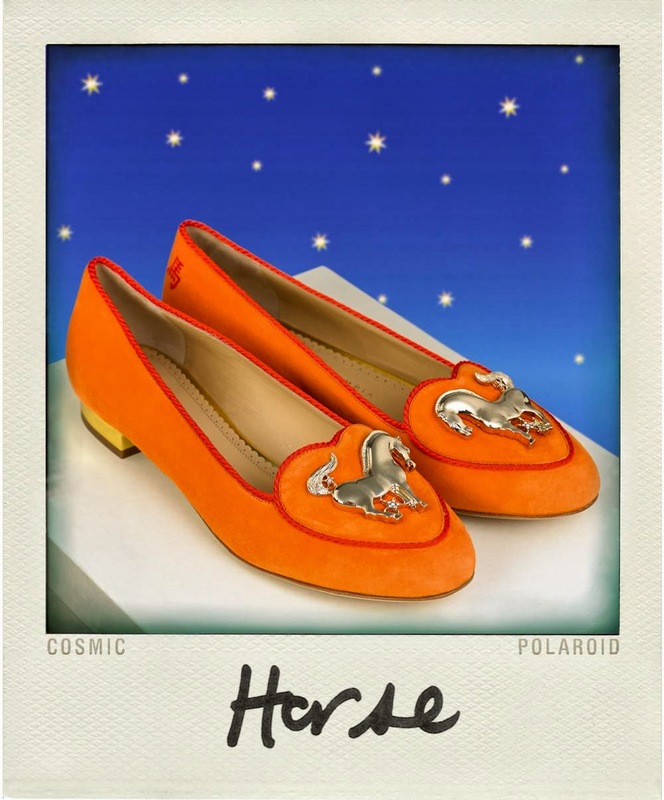 2014 is the sign of the horse, but it's entirely unlikely that a single baby would need a pair of these horse shoes, so really, you should just embrace equitation and wear them for that reason. This is me! I'm Scorpio, another water sign. According to the giant mug I've had since moving to London nine years ago, Scorpios are passionate, vengeful and possessive. Which is probably true given that all I can think, looking at these shoes, is mine, and if you take them from me I will hunt you down. So passionate! 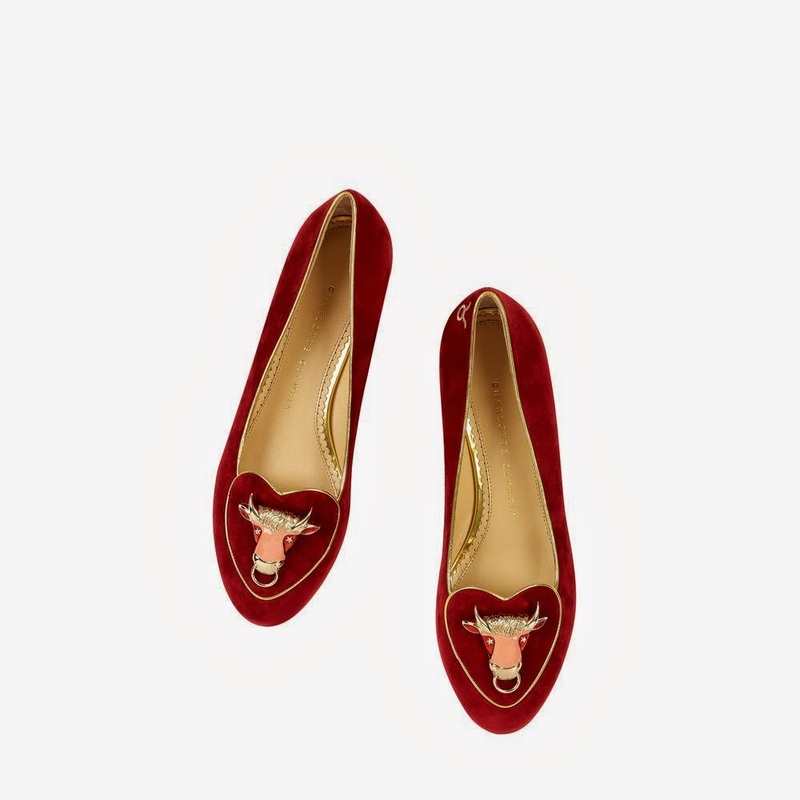 Aries and Taurus are both gorgeous reds - my favourite. Related: I've completely lost the red and yellow plastic Chanel glasses I've had since 2009. If you seem them, tell me. I will be your best friend and write you a glowing reference on LinkedIn. 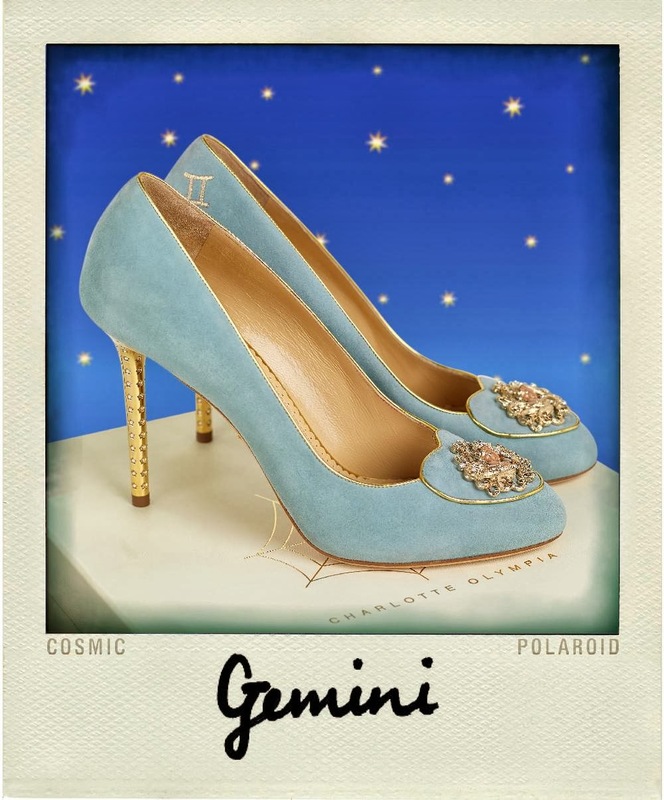 Oh hey Gemini! That's really all I've got for you, because this duck egg blue is just so pretty. 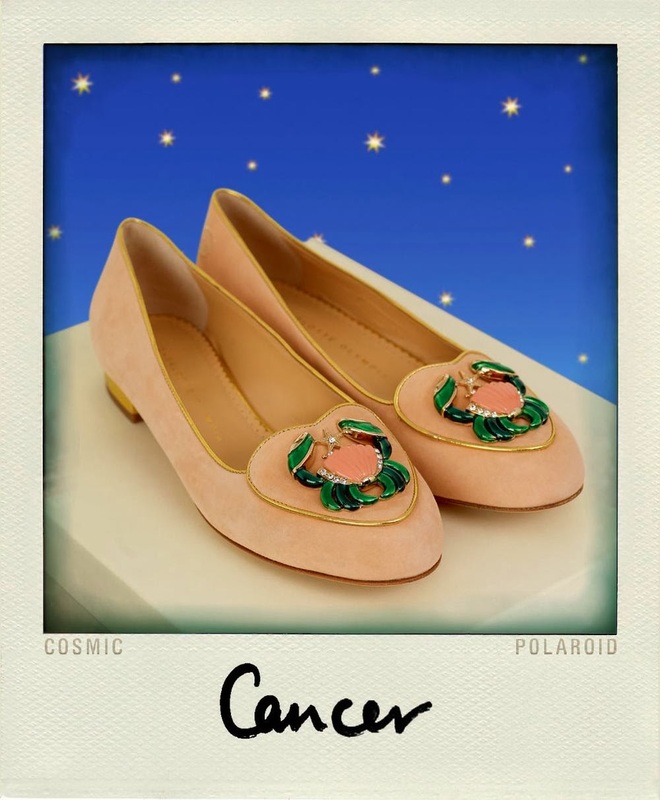 Blush for Cancer and a strong...orangey buttercup? Yeah? Let's go with that. Orangey for Leo. My brother will be thrilled, although at 6'7, he should probs wear the flats. Sigh. A world of starry prettiness here. 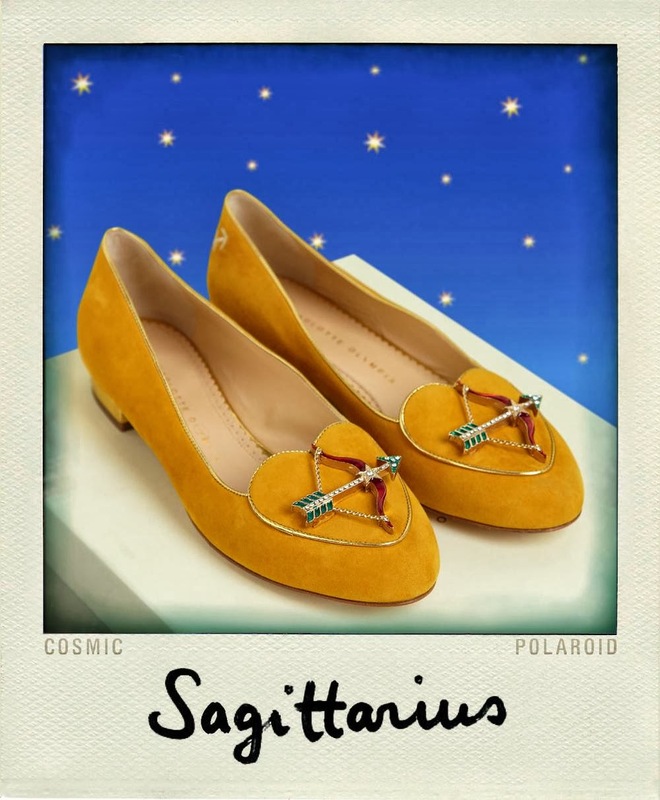 I LOVE the combination of all those primary colours and jewels for Sagittarius. Oh - oh crikey, that reminds me, we haven't had Aquarius yet. Happy birthday grandma! Right, by now you should be clapping and whooping in a haze of beauty, so the fact that these shoes are STONKINGLY EXPENSIVE should come as less of a blow. 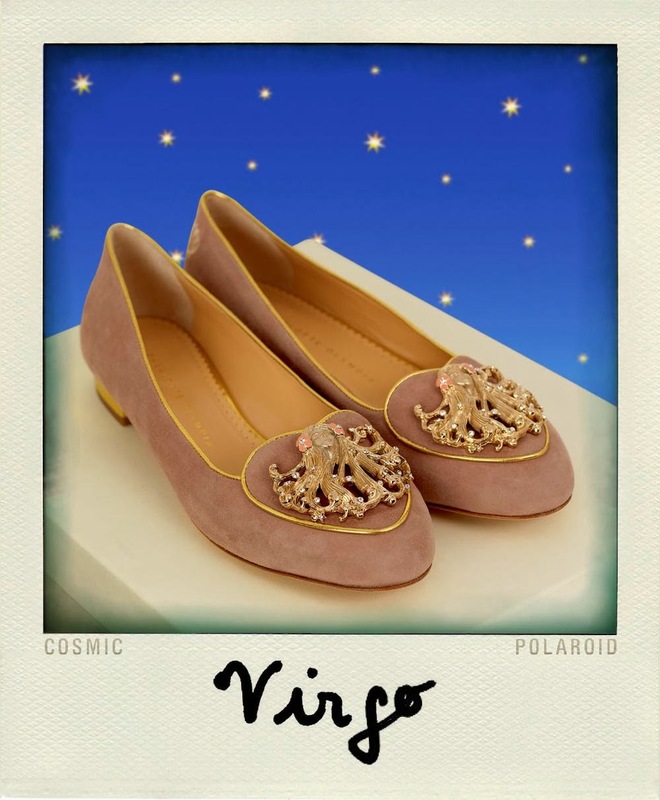 The Birthday shoes star sign flats are £495 and the Cosima heels are £625, and you can get a matching clutch bag for £695. 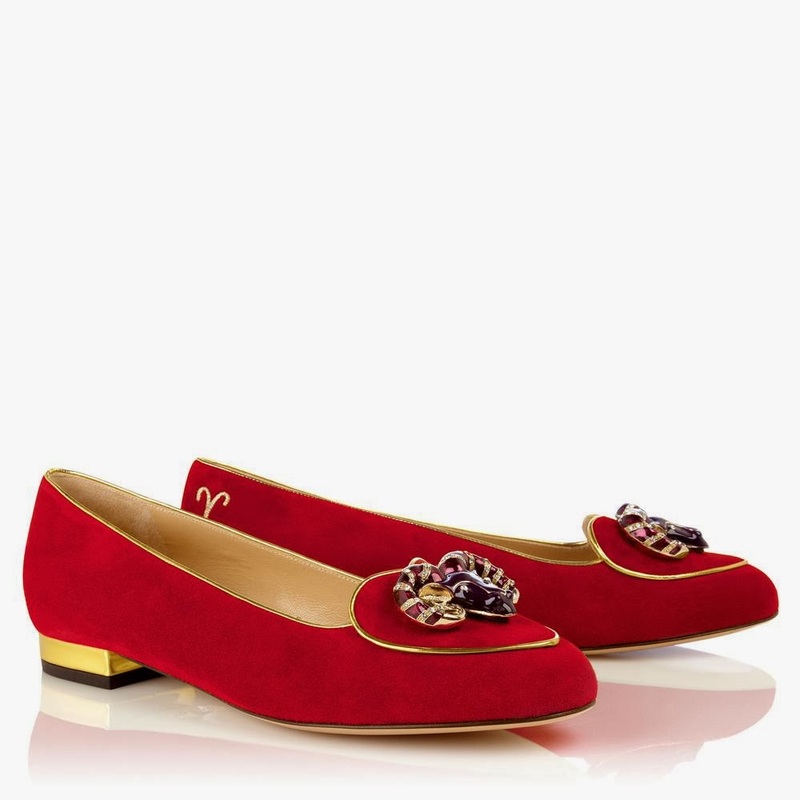 The Birthday shoes eastern flats are £565, and their matching clutches are £795. No, I don't know why either. Just go with it. LOVE THEM. 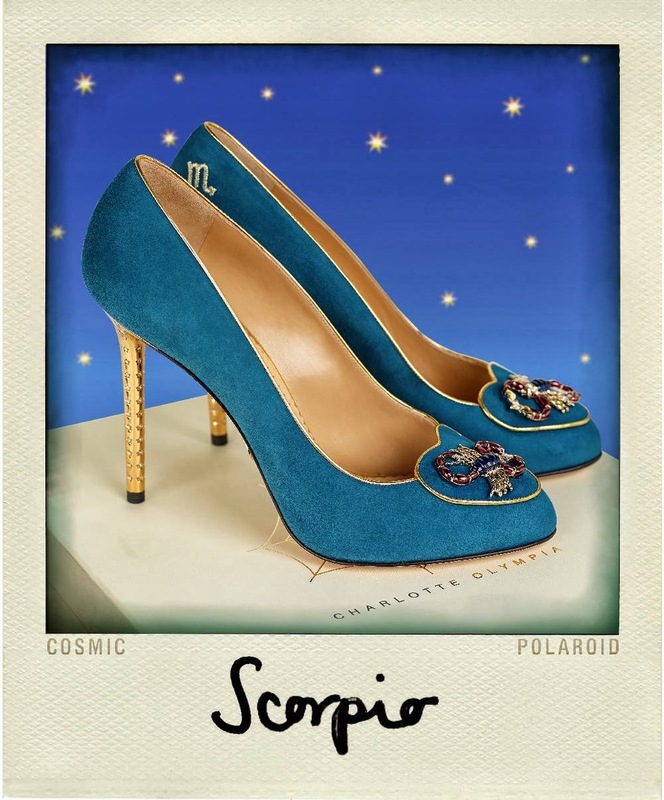 The Scorpio ones are incredible, and I'm a scorpio! Plus, the gorgeous orange will go brilliantly with all those purple outfits you put together. 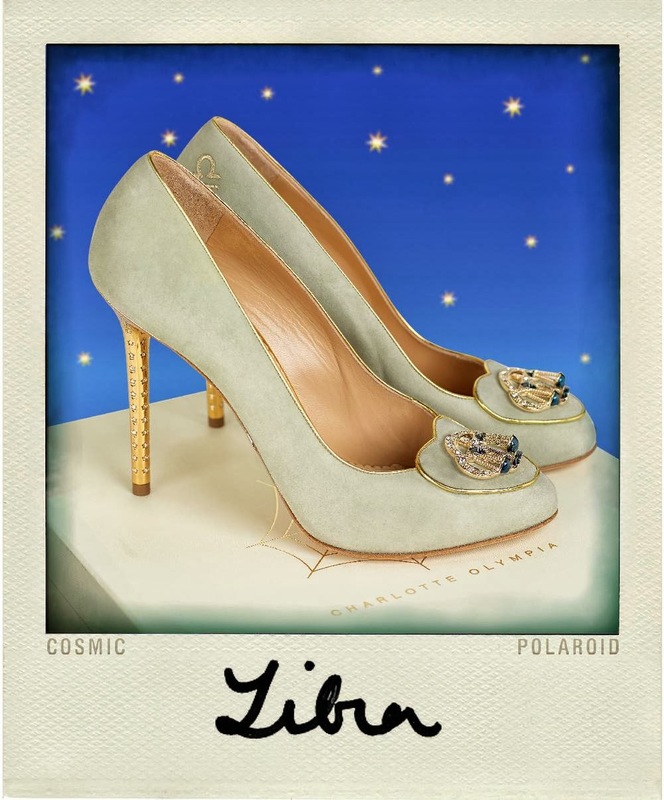 I want a purple Libra one... anyway, I think they've matched the colours of the shoes to the birth stones for that sign? Hence the cream for Libra as an opal? Or am I mixing things up too much?! November (Scorpio) is Topaz, February is Amethyst I think so they might have tried to! I like them all so much. 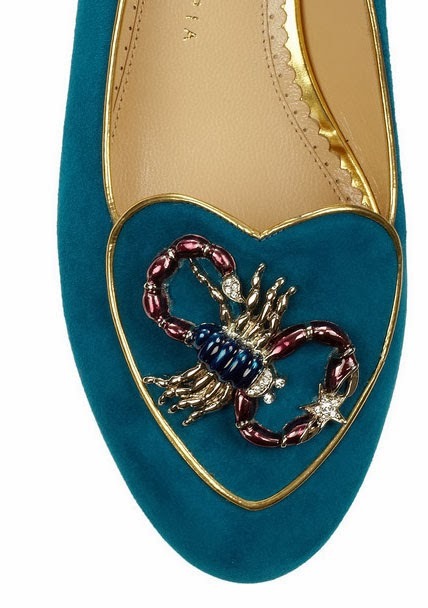 Even if they weren't star signs, who doesn't want crabs and scorpions on their shoes? I'm a Cappy, mine are an interesting colour of puke. I kinda like the olive green.